The updated version does look pretty good! They haven't yet decided if it will be a mode you unlock or just included right away. Hopefully not something we have to unlock, I would much prefer such a mode to just be there to play with. Apart from showing stuff like that off and a few doors, they didn't really show much else off this time. See the full update here along with the last one we missed. 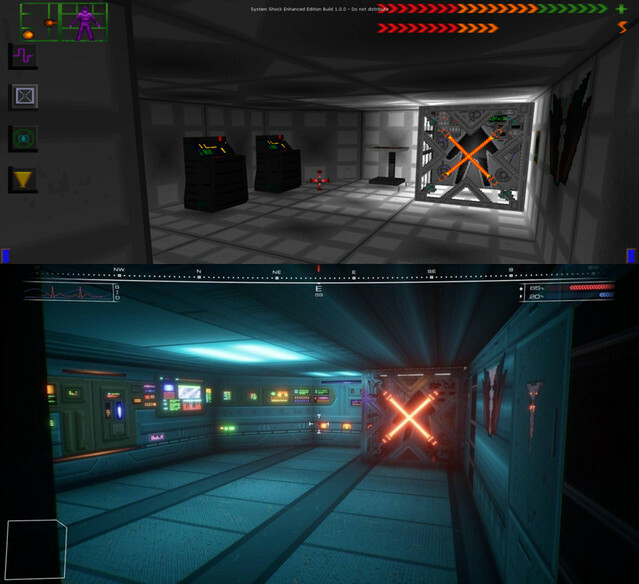 In regards to finally getting System Shock: Enhanced Edition on Linux, when queried about it by us Nightdive said "soon™" so it might be another Icculus Linux port. About time too, they said back in 2015 Linux was planned. It actually just had a big "Source Port Update", which includes quite a few extra enhancements like mouse-look support, higher resolution support up to 4K widescreen mode, adjustable FOV (Field of View) and more. They are following up on their Linux port? strange, i thought they had given up on that and released the source code for the community to do their own port. The Shockolate project is doing pretty well. Its only missing the music part as of now. I wonder if they can/will use that for the Linux port. I wonder if the Linux version of the Enhanced Edition will be available on GOG. Nice, SS1 is still towards the top of my most anticipated and excited for. Looks like they are on track and doing well.